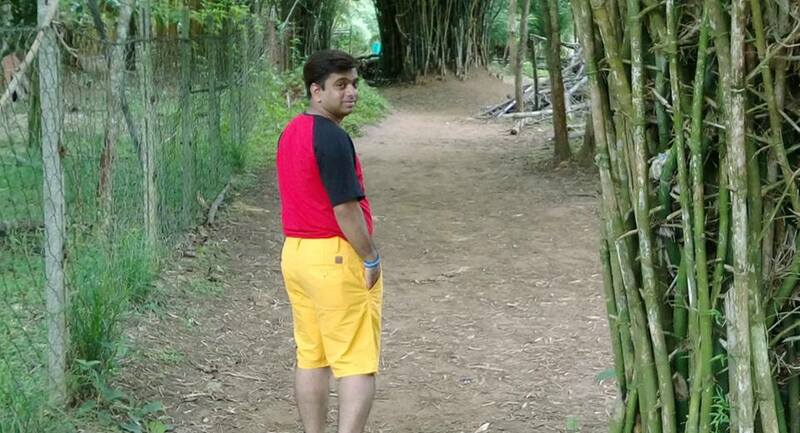 It was for the first time I visited Coorg and the first thing I experienced was the climate and weather. There is a reason why it is known as the “Scotland of India” and you need to visit believe it. The climate of the Coorg makes it one of the best holiday destination throughout the year for all type of traveller. 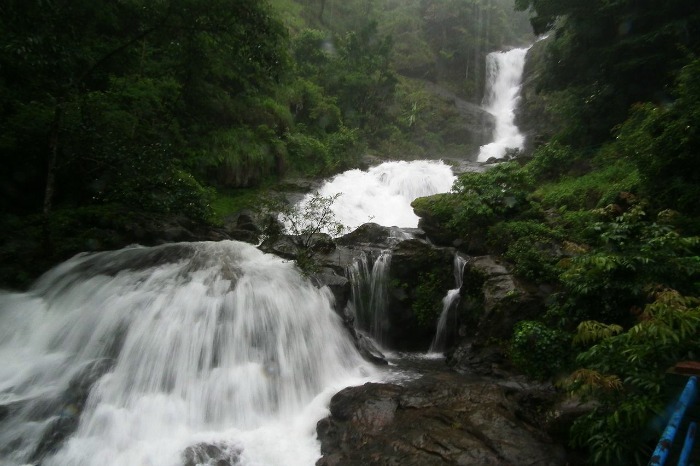 Coorg has everything from non-commercialized landscapes, exquisite waterfalls and lush green flora and fauna. The heavenly view of the misty mountains and aroma of freshly brewed coffee would wake you up for an aspiring trip. The know sightseeing places are divided in two different areas within Coorg. Madikeri has 50% of sightseeing places whereas 35% of the sightseeing places are in Kushalnagar and remaining 15% sightseeing places are scattered across the places. Coorg has so much to offer that it would require 5-7 days to enjoy it completely however if you are planning a weekend trip then the following destinations are a must visit. 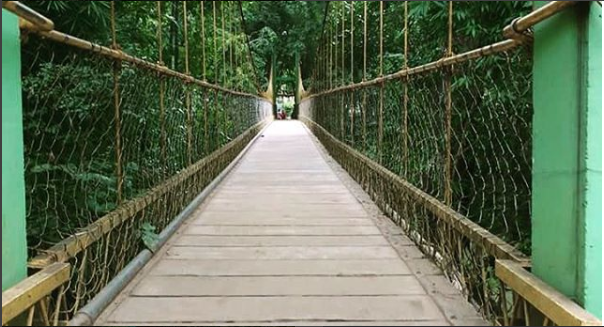 If you are visiting Coorg for a short trip then make it a point that you start your day early by 8 am only then you would be able to cover maximum sightseeing places and spending decent time at every place. Abby Fall, Bhagamandala, Talakaveri, Mandalpatti Raja’s Seat and Coffee farms are the sightseeing places which are located in Madikeri & could be visited in a day. 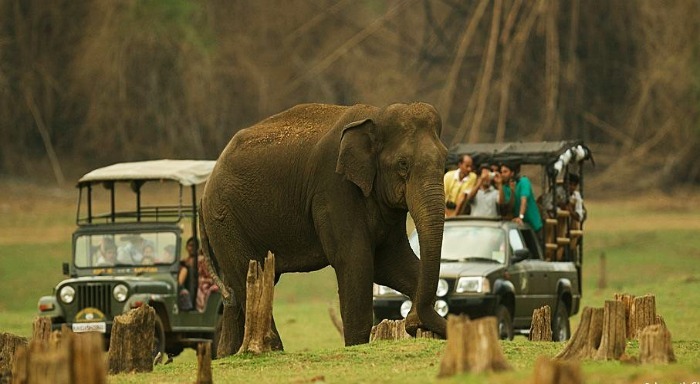 Dubera Elephant Camp, Rafting activities at Dubera, Nisargadhama and Golden Temple are the sightseeing place which is located in Kushalnagar & it also can be visited in a day. Abbey Fall is located between coffee plantations and spice estates which is one of the top most attractions. 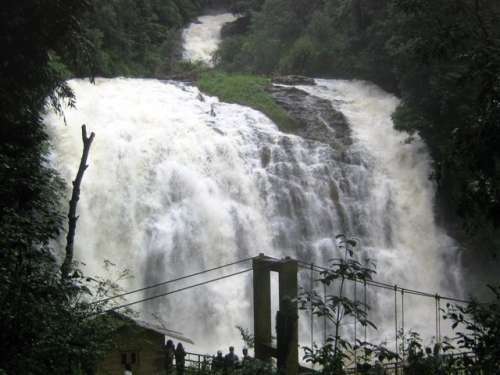 The cascades of River Cauvery, and the mesmerising waterfall is worth a visit which is located near the small town of Madikeri presents the most beautiful picture of a quaint country life. 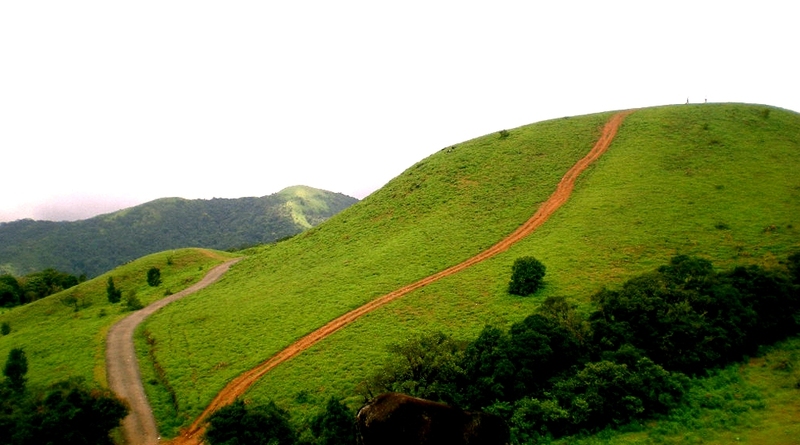 If you wish to see a bird’s eye view picture of Coorg then, Bramhgiri peak is the best place to experience it. Enjoy a gentle trek to the peak across milky white streams of the river, passing through the lush green flora. Stop over at the wildlife sanctuary to see a range of wildlife in their natural habitat. Dubera Elephant Camp is certainly one of its kind camps where you can get to see Elephants very closely. 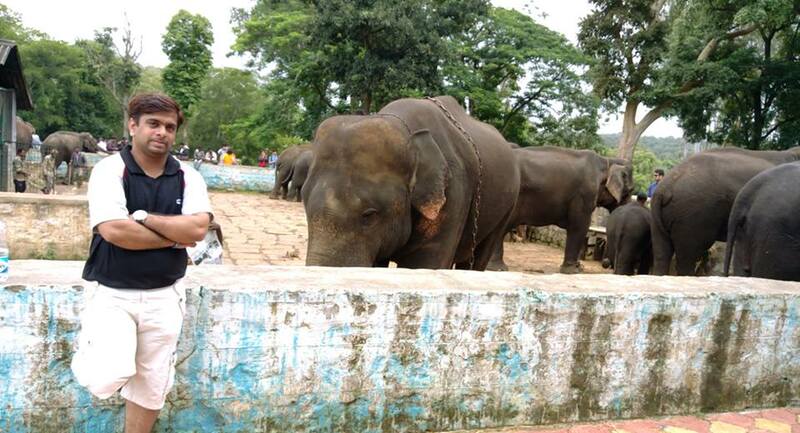 Watch them how they spend the entire day, and learn new tricks from the Mahout, how to train the Elephants etc. Enjoy a boat ride on the river Cauvery and spot the marine life. Dubare Elephant Campaign – Home for Asian Elephants. One of the most beautiful falls in Coorg is the Iruppu fall when the River Lakshmana Tirtha turn into this sparkling clear waterfall among’st the lush green mountains. The marvellous vegetation and different varieties of ferns are worth noticing. The Nagarhole National Park is a must visit if you are a wildlife freak and interested in seeing some wildlife up close and personal. During the winter months, there are a lot of migratory birds which flock on the river banks. It’s indeed a paradise for artist and musicians. Indulge in some trekking to the Mandalpatti View Point which offers a generous trek which provides a birds-eye view of the entire Coorg. There are many treks tours which you can enrol in to explore the beautiful route and landscape. Nisargadhama is a place which offers an unconventional style of living especially in a tree top bamboo cottages as it is abundant in bamboo plantation and sandalwood groves. 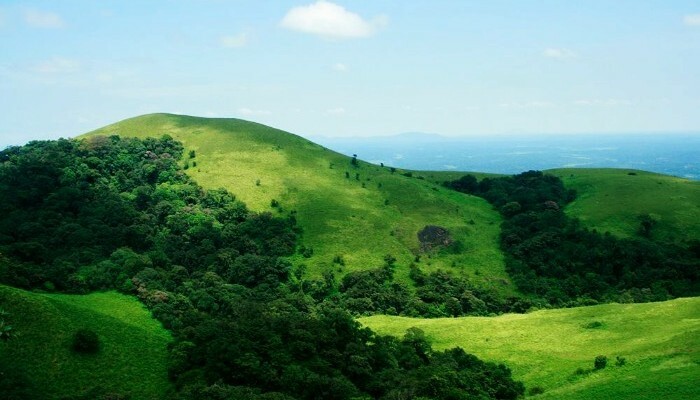 This beautiful island is located just 28 km from Madikeri and is beaming with natural beauty. Coorg has ample of hotels & home stay accommodation options ranging from Rs. 1000 – Rs 5000, big names like Taj Hotels are also present here. Most of the properties are decent enough for a couple of days stay. But when it come to food be prepared to adapt yourself to South India taste. For a change, you can try different varieties of rice in your meal which are popular in this part of the country, like curd rice, lemon rice, fried rice, steam rice with sambhar & rasam and much more. Coorg produces coffees & cocoa in large scale. Due to excess of cocoa production locals produce varieties organic chocolate namely dark chocolate, dry fruit chocolate, fruit chocolate and much more. 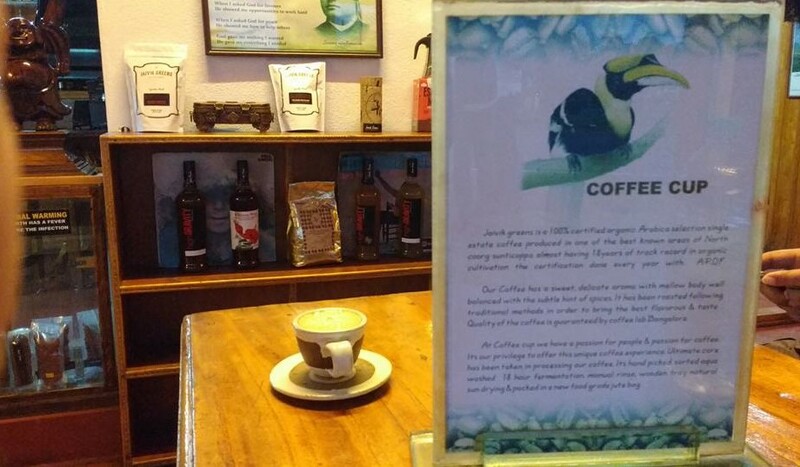 “Coffee Cup” is a well-known coffee outlet which serves organic coffee, “one its kind coffee” which you will only find in Coorg. The outlet is very calm and cosy, you can’t afford to miss it if you are travelling to Coorg. You can also buy this coffee and chocolates from Nisargadhama at Kushalnagar. There are no direct trains and flights for Coorg. 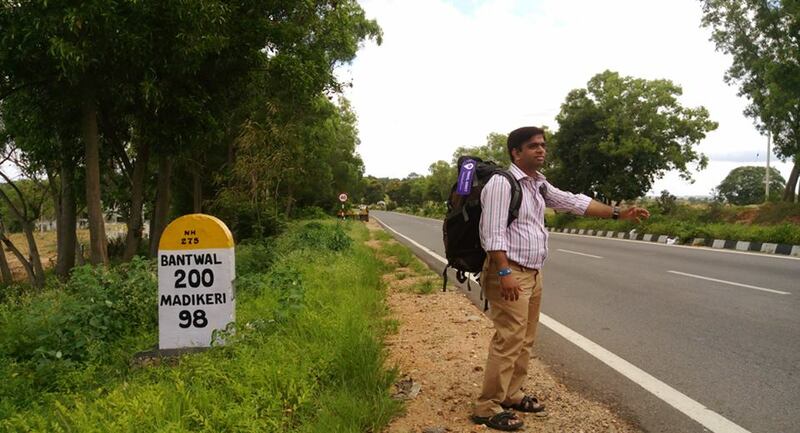 But it is well connected by roads from Mangalore (approx 120km), Bangalore (approx 230km) and Mysore (approx 90km). If you have more days to travel you can also visit Mysore & Ooty. With so much to explore in so little time, Coorg is abundant in natural beauty and activities. Coorg is worth a visit even when the time is short. The best time to visit Coorg is from July to October; however, it has something for the others, every time, in all the months. Capture the gorgeous natural surrounding and explore the wildlife. Take back some mesmerising memories back home from your trip.